Wallets in hand, our five-year-old twins walked up to the counter where right behind it, Lumiere and the enchanted dishes were dancing to the music of Be Our Guest. The girls gently placed their sweet treasures on top of the counter as we approached. These baby stuffed animals wouldn’t be considered a treasure to many, but for the girls it was something they had been talking about, dreaming about and saving for. After the cashier rang them up she watched us pull money out of little pink wallets and count the money together to reach the amount needed to pay for the items. The Disney cast member asked the girls, “Are you paying for these with your own money?!”. “And did you work to earn the money?”, she kindly asked in her lovely British accent. Again, a quiet “yes” came from a few feet above the ground. “Well, that is the best way to get something!”, she responded in a tone showing approval for the girls work earning them enough to each pay for a $20 item. She put each stuffed animal in a bag and proceeded to hand the bags to the girls, which resulted in a “thank you” from each of them. I walked away stunned. Really? A child hadn’t uttered a simple “thank you” in all those hours? The store was overflowing with people so I knew she’d already seen hundreds of children in that amount of time. I could hardly believe it. And although I felt proud of our girls for saving and using their own money to make a purchase and then showing gratitude to the woman who helped them, I felt a bit sad too that so many children didn’t even express a simple thank you. But since I can’t change what other people do or don’t do, I will just focus on what I can do. And what I can do is work on my own gratitude and guide my children down a path of gratitude. I’m guessing you too desire for your children to feel and express gratitude. But is it even possible to teach our children gratitude? Let’s take a look. As Christians, we are commanded to be grateful in all circumstances and for all things because everything is from the Lord! Think about what a difference it makes to be grateful versus not. On the one hand you feel content and joyful and on the other you feel discontent and agitated, maybe even angry. There is a big difference between the two. How do we teach our children gratitude? 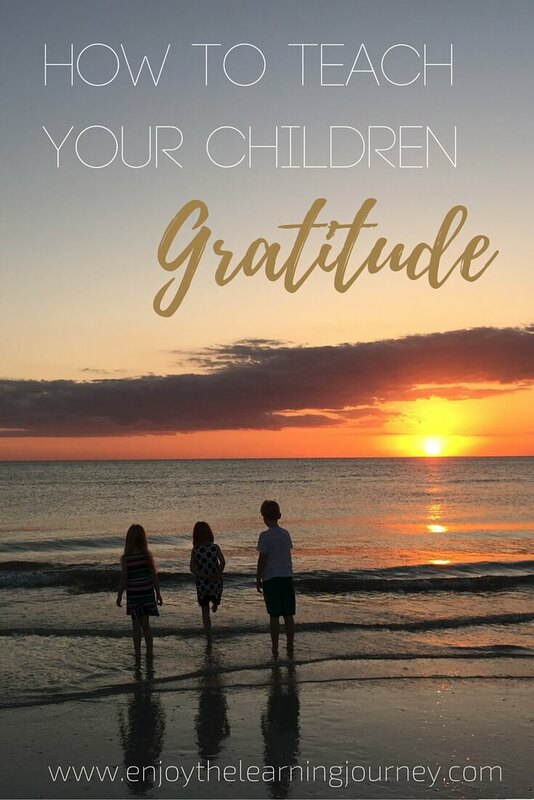 Even though we, as parents, aren’t the owners of our children’s hearts, there are actions we can take to guide our children toward gratitude. But first, think of this: the more we understand and acknowledge what the Lord has done for us, through His great love, mercy and grace, naturally our hearts will be filled with gratitude for the life He has given us. So, that’s where we should start! Keep reading the Bible with your kids and talking about the great sacrifice Jesus made for us. And although the Lord will ultimately be the One to shape our children’s hearts, there are ways for us to help and guide our sweet babes. Be an example. I know, it’s tough. But that’s just the way of it. Our kids will often mimic what we do. So, get to where you want to be in feeling and expressing gratitude and they will get to see how it looks to live a life of gratitude. Help them practice. Use a children’s daily gratitude journal to get them thinking about what they are thankful for. Include gratitude in your daily prayers together so that they can express their thanks to the Lord. 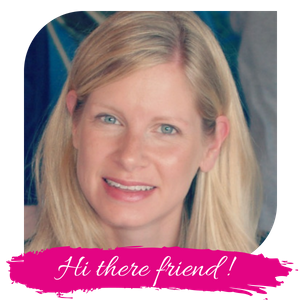 They can also practice gratitude by making it a point to thank others in-person or with handwritten thank-you notes. Don’t give your kids everything they want. I’m sure you already don’t. But, consider asking your children to work for things even more than you already are. I know that my girls appreciate the little Disney stuffed animals more than if we had bought those for them. Since they had to work and save, they appreciate what went into buying them and will surely take care of those fluffy little guys (er, girls). Start today! (It’s never too late to start.) You can start practicing gratitude at any time. Even if your kids are older, there are actions you can take. It might not look the same with a five-year-old as it will with a fifteen-year-old, but there are opportunities for you to make gratitude a priority in your home. Don’t give up. No matter what you do, don’t give up. Even if you aren’t seeing a lot of progress, keep at it. This parenting thing is so hard and the results of our hard work are sometimes barely seen. But if you just keep moving forward, doing your best to help your kids reflect on their blessings and express gratitude, praying for them along the way, you will eventually see fruit from that. Chances are it won’t be anywhere near perfect but that’s ok, it doesn’t need to be. The Lord in his great mercy will fill in the gaps for us. How do we get to a place of gratitude? In order to teach gratitude you need to feel gratitude. If you are struggling with gratitude, remember that you can ask the Lord to help you be grateful for His blessings! Everyone’s path to a life of gratitude will look different and none of us, or our children, will have ever “arrived” on this side of heaven, but it’s still worth the effort. Living a life of joy, peace, contentment and fulfillment is so much better than the alternative. For me, I know I need to keep chugging along with the kids even when I don’t feel like my efforts are making a difference. Because even though Joey and I are fortunate enough to see some beautiful glimmers of hope along the way, like we did at Disney, we certainly don’t have it all together. We don’t have it all figured out in the arena of “making our kids work for things and showing complete gratitude”. Our kids have way more clothes and toys than they need, we buy them more than we should and they don’t always express gratitude in the ways I would hope. But gratitude is something we continually work on with them. I realize that for us to take our children on a Florida vacation, complete with a day trip to Disney World, is a total and complete luxury. It’s something many people aren’t able to do and I’m certain many people would think we are spoiling our kids. However, we have reasons why we make a yearly family vacation a priority and I won’t list all those reasons here. But I can tell you that I certainly didn’t want to further indulge our children by buying them a bunch of things while we were there. They knew far in advance that the trip was their gift and that we wouldn’t be buying them any souvenirs while we were on vacation. If they wanted something, they’d have to save their money and buy it themselves. This was clearly communicated to them months ahead of time. And guess what? While we were there we had absolutely no problems at all. The kids didn’t ask for souvenirs because they were prepped well ahead of time. The result of what we came home with? 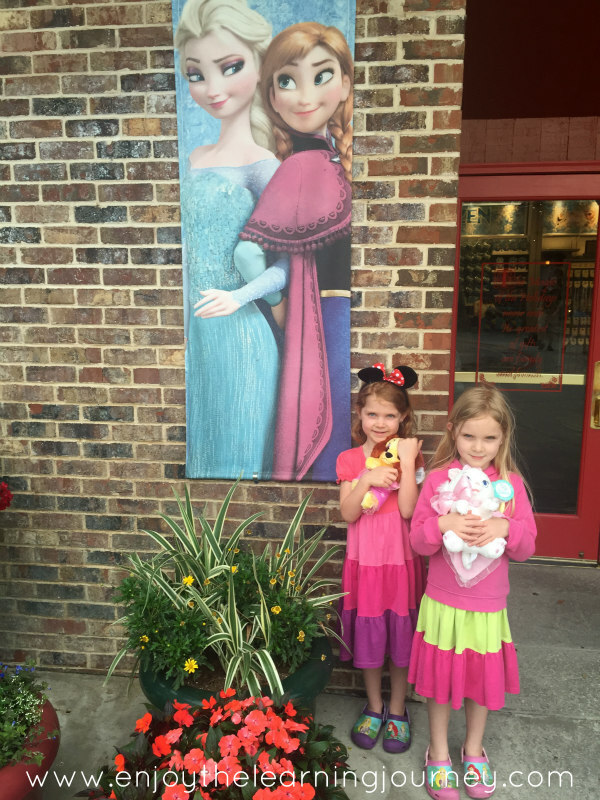 Kellan bought a Florida magnet and the girls bought their stuffed animals at Disney. We also came home with lots of good memories and an abundance of photos to remember our time together. And for that, I am thankful.